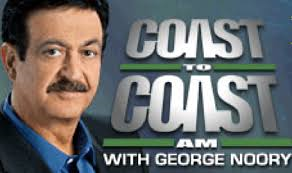 Coast to Coast Am with George Noory, an all-night show featured on more than 600 AM stations in the USA, many FM stations, and stations in Canada, Australia, and Guam. The program airs live nightly 1:00 a.m. – 5:00 a.m. Eastern and 10 PM- 2 AM Pacific. Mirabello Was a guest on Friday, December 16, 2016.